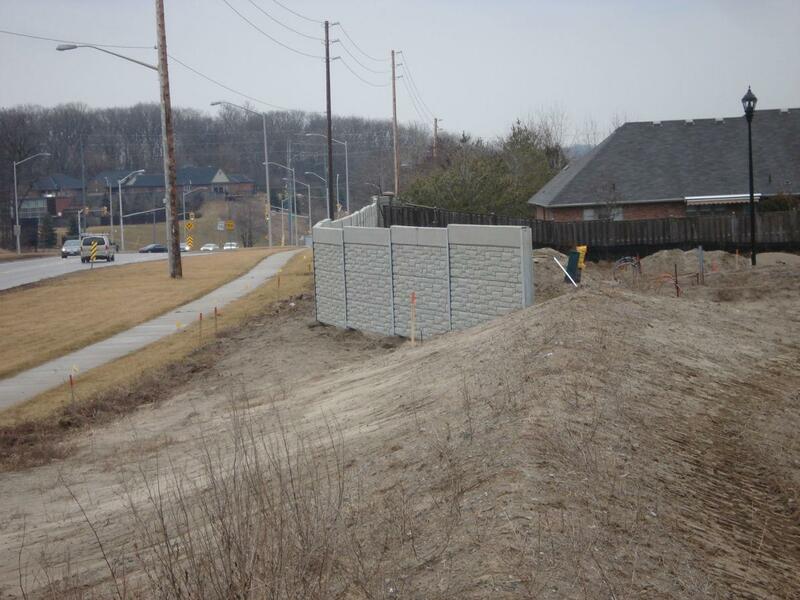 Sound by Design™ is a precast concrete reflective noise barrier system designed to mitigate noise and provide a quiet environment from nearby road traffic, rail corridor noise, or privacy from any source of disturbance. 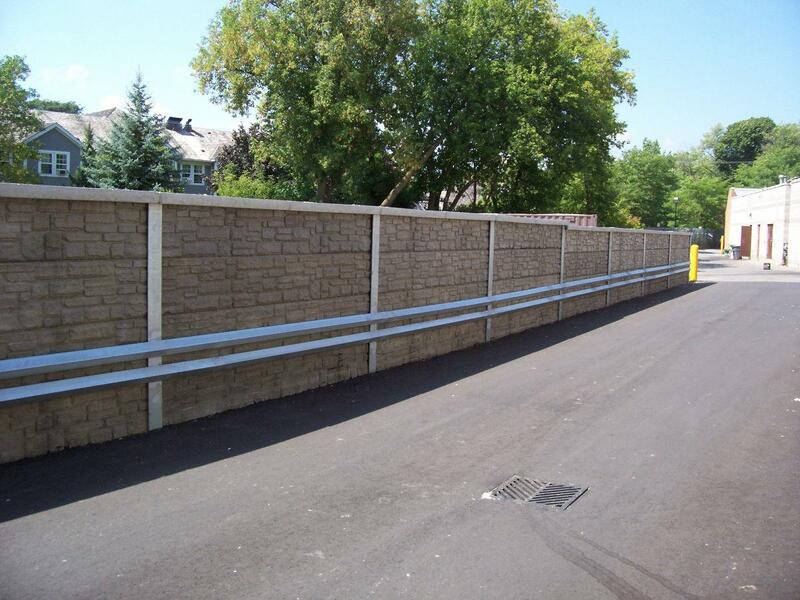 Reflective noise barriers are ideal for highway and roadway projects,perfect for municipalities, cities and residential developers with a no maintenance, cost effective method of abating noise using a product that is architecturally appealing. 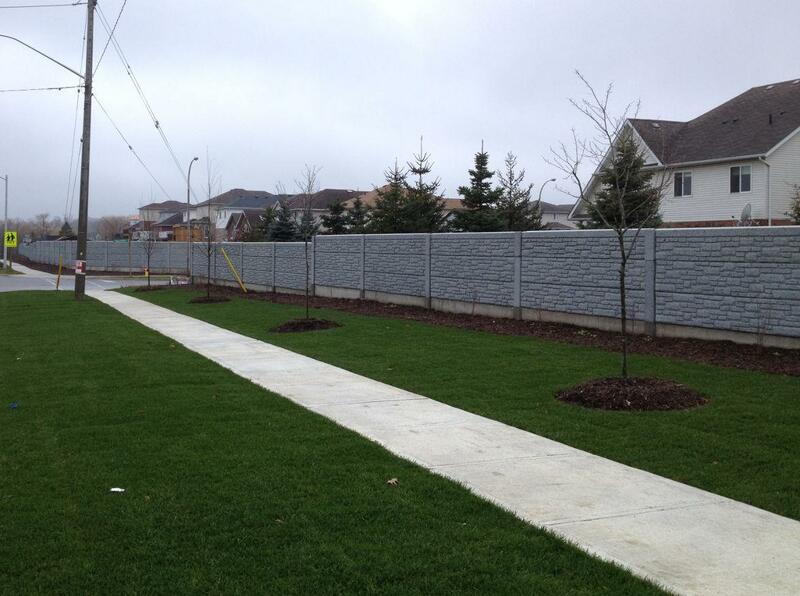 Available in a variety of colours and patterns, we offer sound absorption with curb appeal! 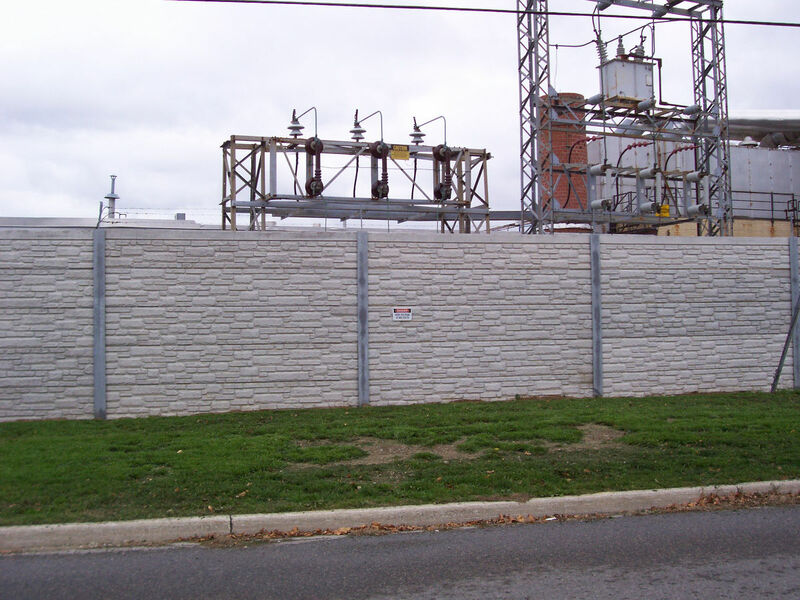 Sound by Design™ reflective noise barriers are an excellent choice to provide a quiet environment from nearby road traffic, rail corridors, or cam be used to provide privacy from any source of disturbance. Sound by Design™ features maintenance free, modular panels that are available in a wide variety of colors and patterns to meet your architectural requirements. 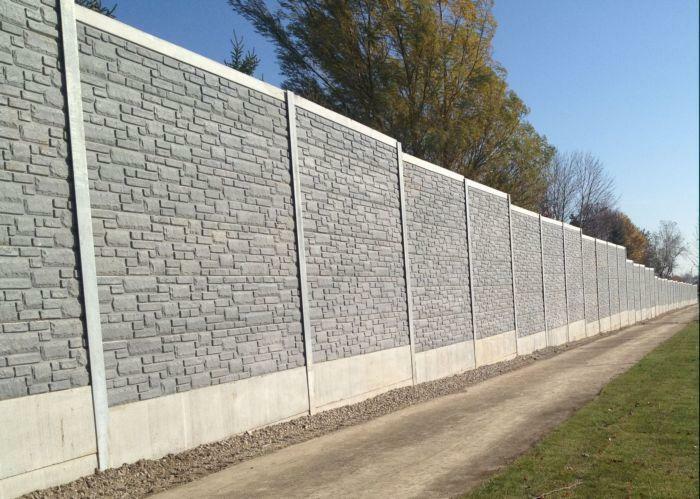 Our sound reflective noise barriers are approved for use by the MTO and are listed on the DSM List for use on Ontario’s provincial roads and highways. Manufactured in our climate controlled, CSA Certified facility we adhere to a rigorous quality control and product testing program that meets the highest standards for quality and engineering in the industry ensuring a product that can stand the test of time. 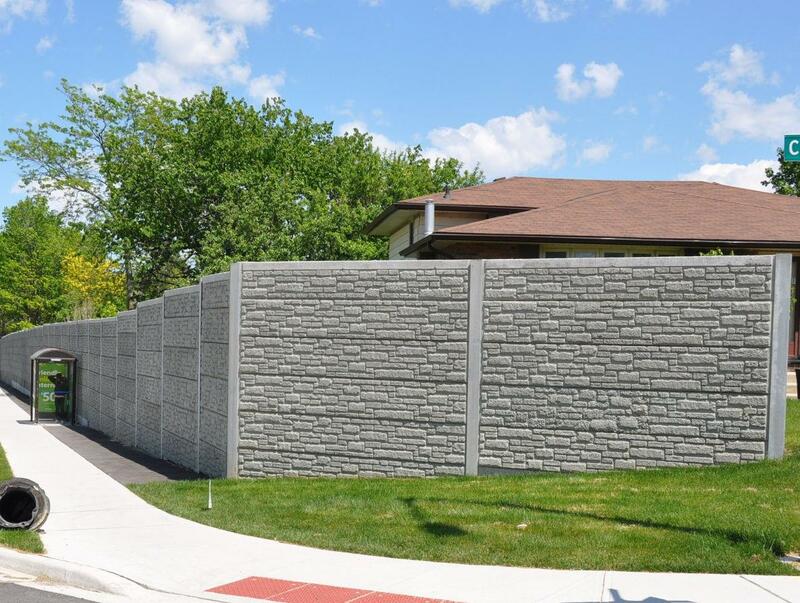 Sound by Design™ noise barrier walls provide years of maintenance free performance, are expertly engineered and ready to make your next project a success. Let our experienced team help you with your next design. 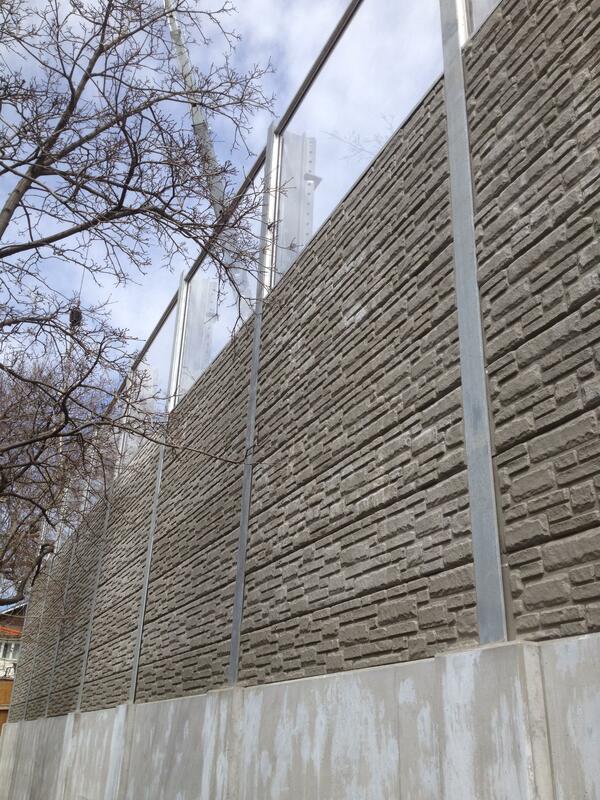 Transparent noise barrier panels are also available from Design Concrete which can be used as stand-alone barriers or can also be used in conjunction with precast noise barrier panels. 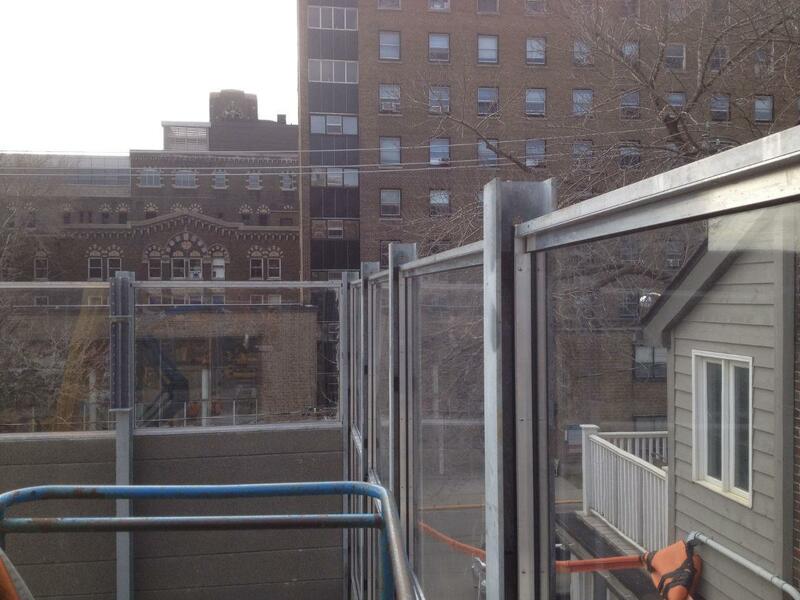 The use of Transparent Noise Barrier panels is quickly becoming more prevalent in North American Noise Barrier Walls. 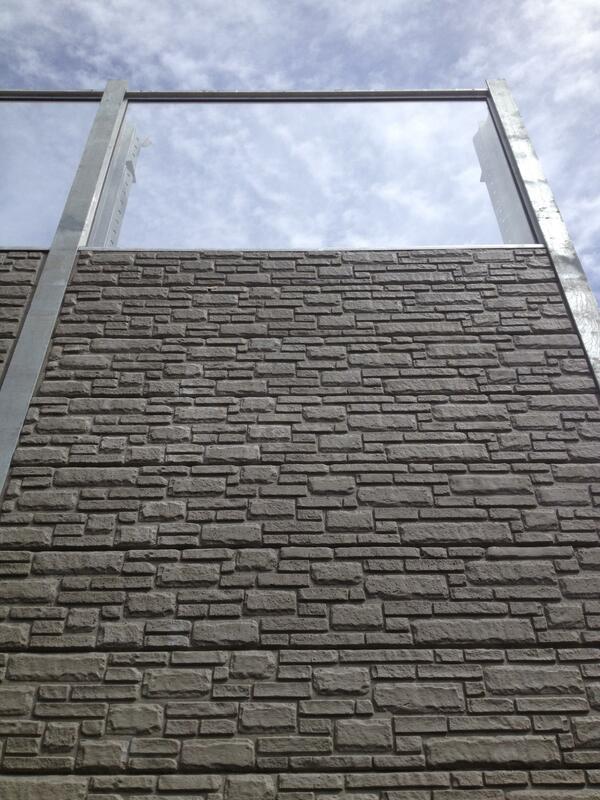 Concrete Framed Transparent Panels: Reinforced (4) sided Concrete Frame. Design Concrete has chosen Schoeck Canada to offer 'COM-Bar', a glass fiber reinforced polymer reinforcement bar. GFRP rebar has higher tensile strength, is resistant to corrosion and much lighter than steel. 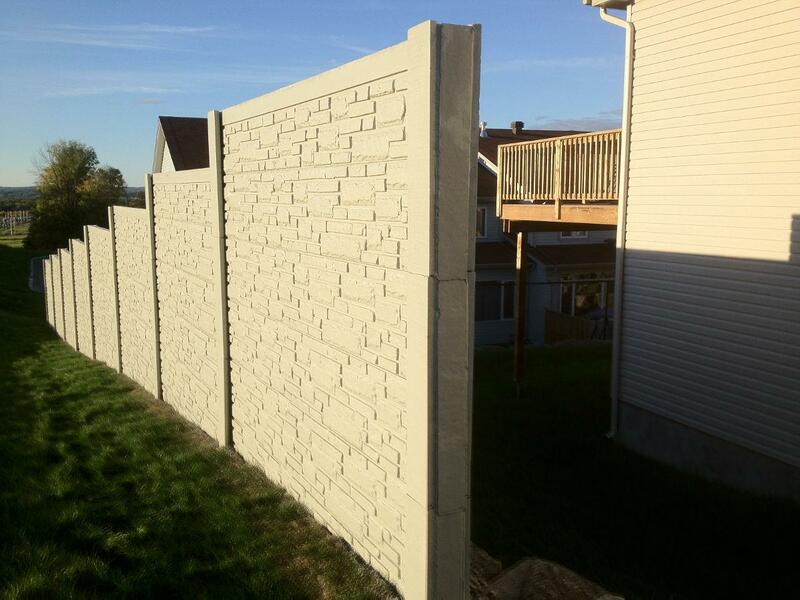 Design Concrete offers anti-graffiti treatments for our concrete products, this treatment is applied during the manufacturing process, prior to shipment to site. 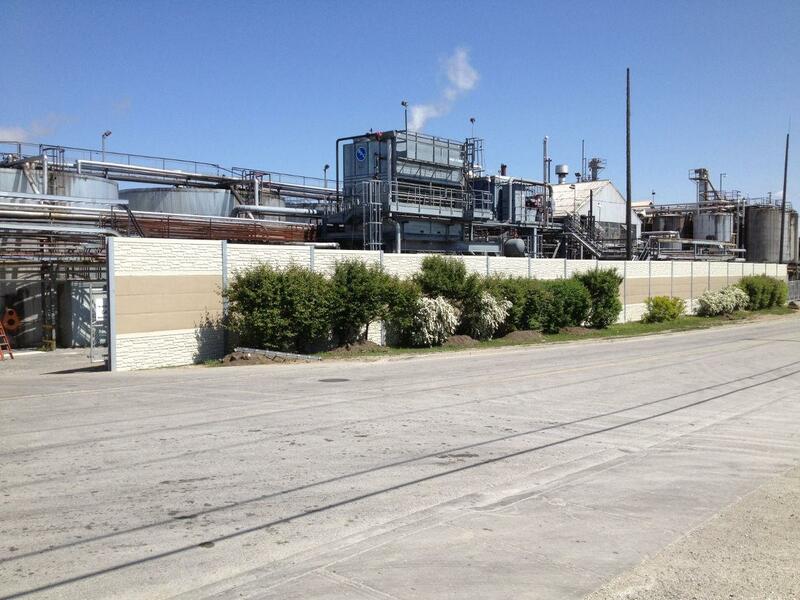 Our standard anti-graffiti solution is a sacrificial, non-toxic product which is safe for the environment. When a wall panel is tagged, the graffiti resides on the top of the surface coating. 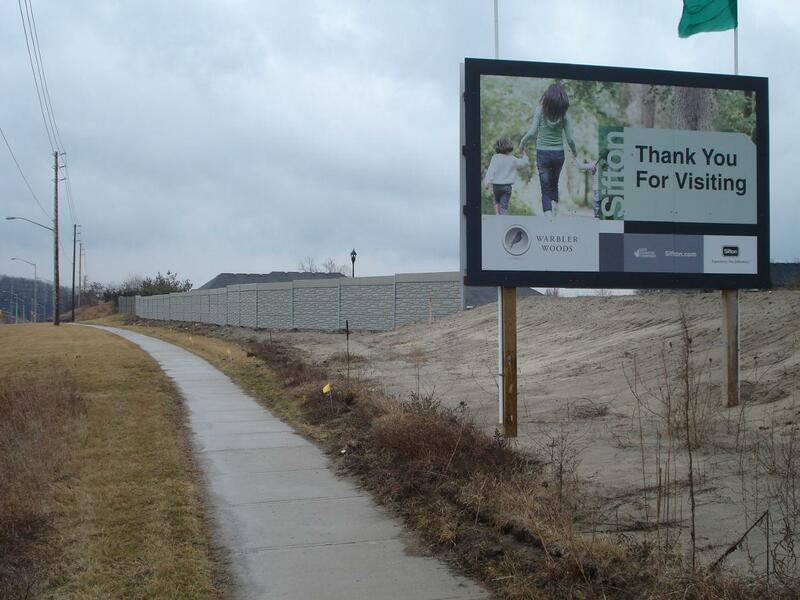 The graffiti is then removed along with the sacrificial coating. 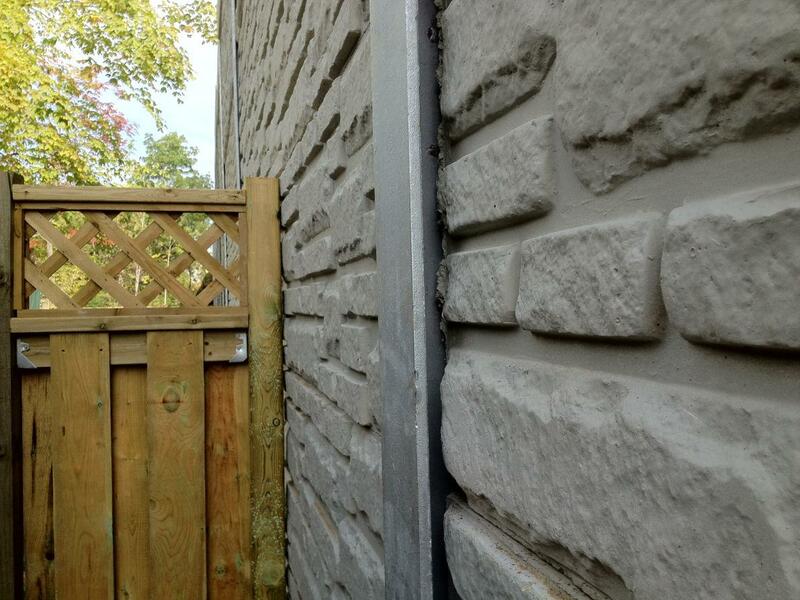 The anti-graffiti coating is then re-applied to the affected portion of the wall and ready to protect again. 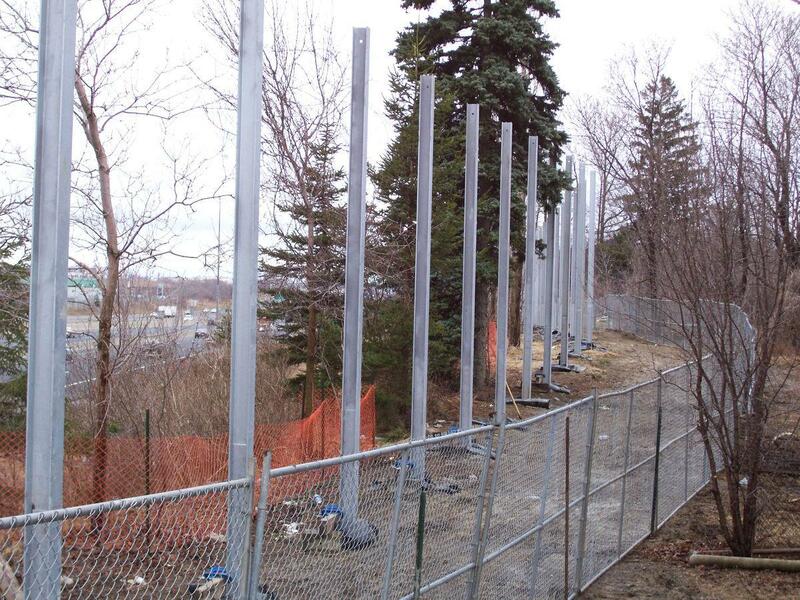 What are the standard Sound by Design™ reflective noise barrier panel sizes? 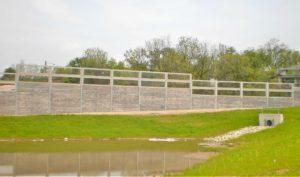 A single Sound by Design™ reflective noise barrier panel measures 527mm high by 3590mm long and are 127mm thick. 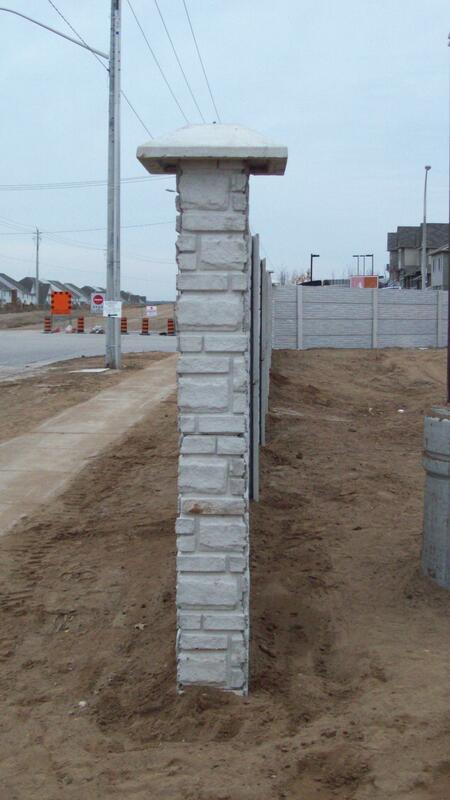 Panel lengths are based on a standard post spacing of 3630mm, centre to centre of post. 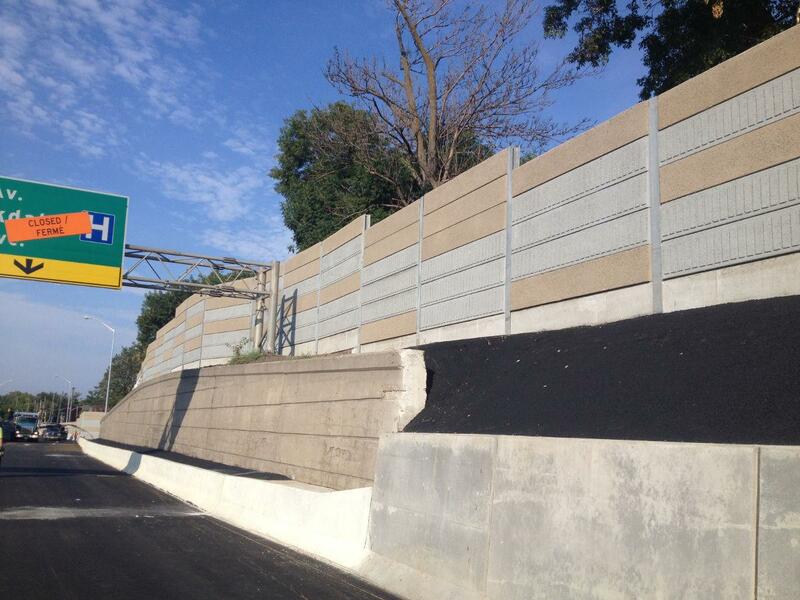 Are there different colour and/or pattern options available for the noise barrier panels? 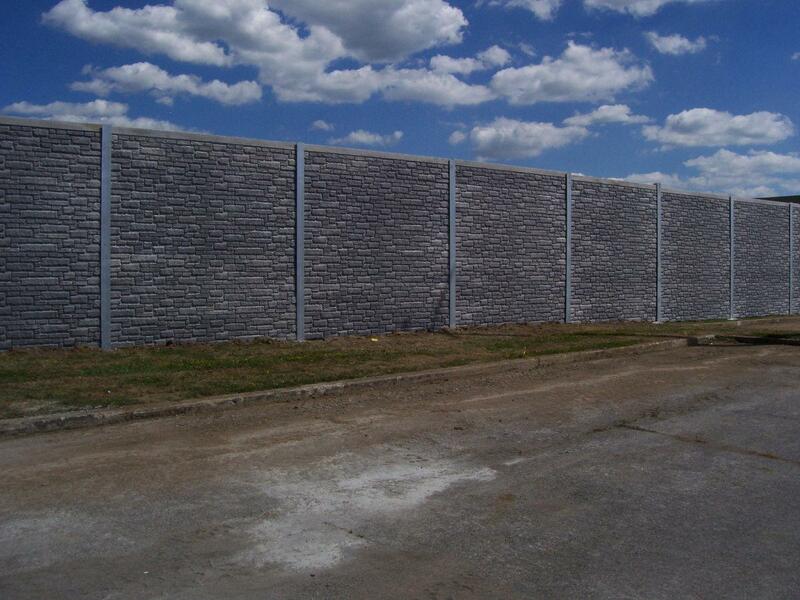 Yes, noise barrier panels are available in a variety of standard colours and patterns to suit your project. Custom colours and colour matching is available on request. 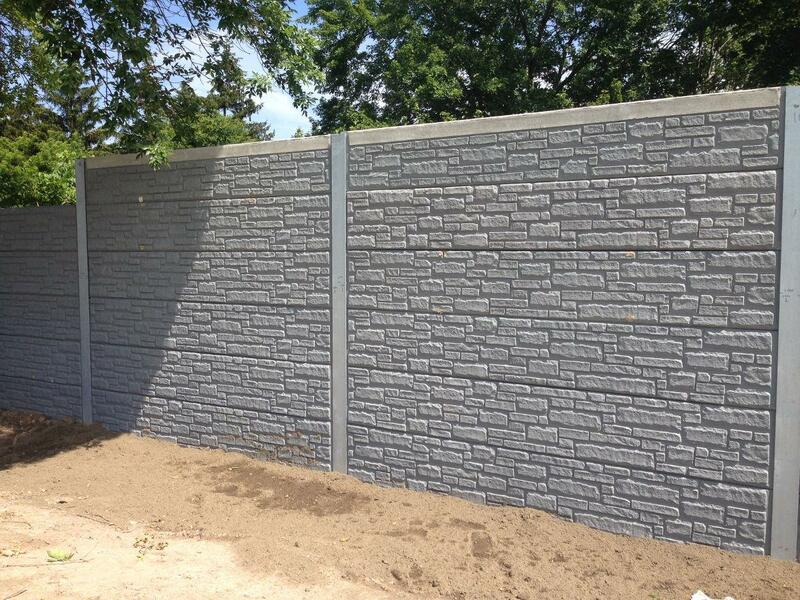 Design Concrete can incorporate customized signature panels, logos, names, patterns or textures into our noise barrier panels. 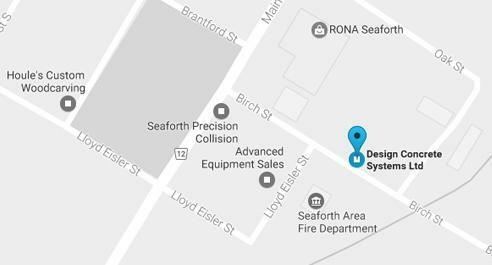 Design Concrete Systems Limited is located in Seaforth, Ontario, Canada. 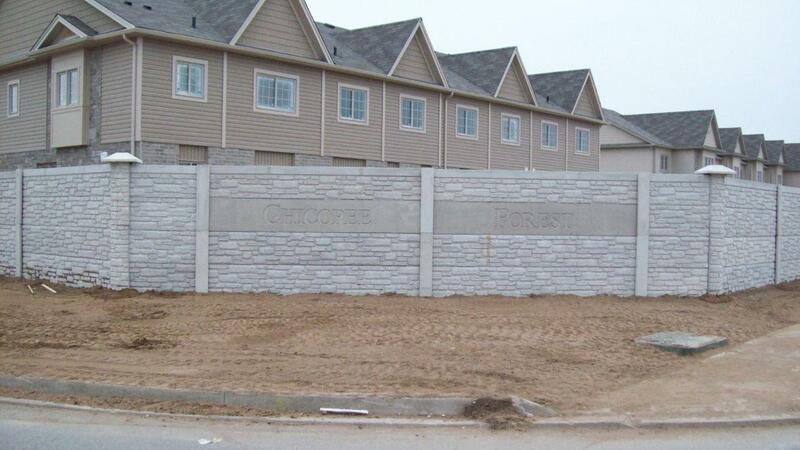 We manufacture all of our precast products in our CSA certified facilities, adhering to a stringent quality control and inspection program, manufacturing our products to meet the highest quality standards. 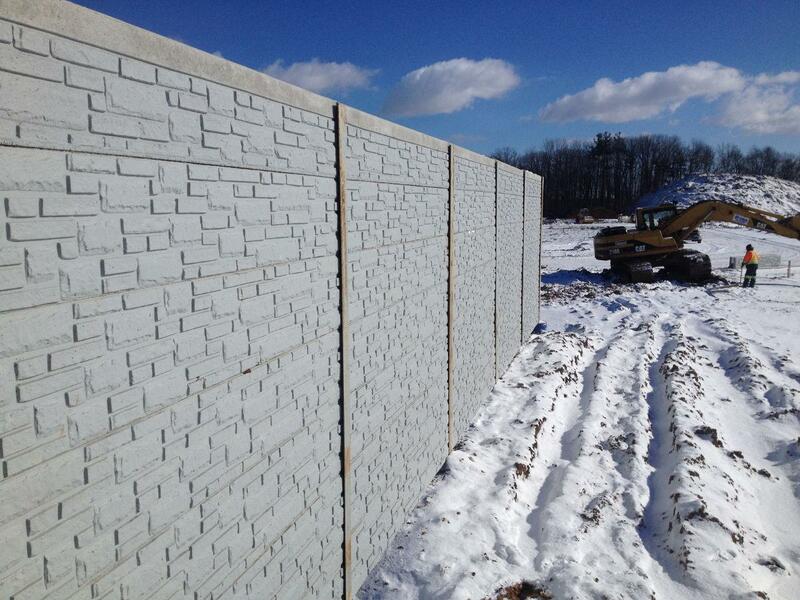 "Precast" means simply, that the concrete product was manufactured in a climate controlled facility, as opposed to concrete that is cast in place on site and is exposed to the elements. This allows for better control of the quality of finished product. 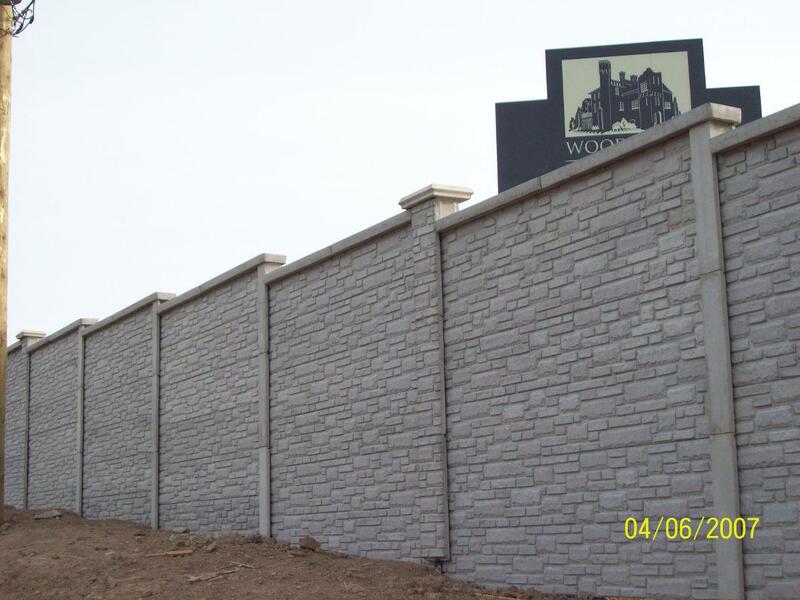 "Because precast concrete products typically are produced in a controlled environment, they exhibit high quality and uniformity. Variables affecting quality typically found on a job site – temperature, humidity, material quality, craftsmanship – are nearly eliminated in a plant environment." 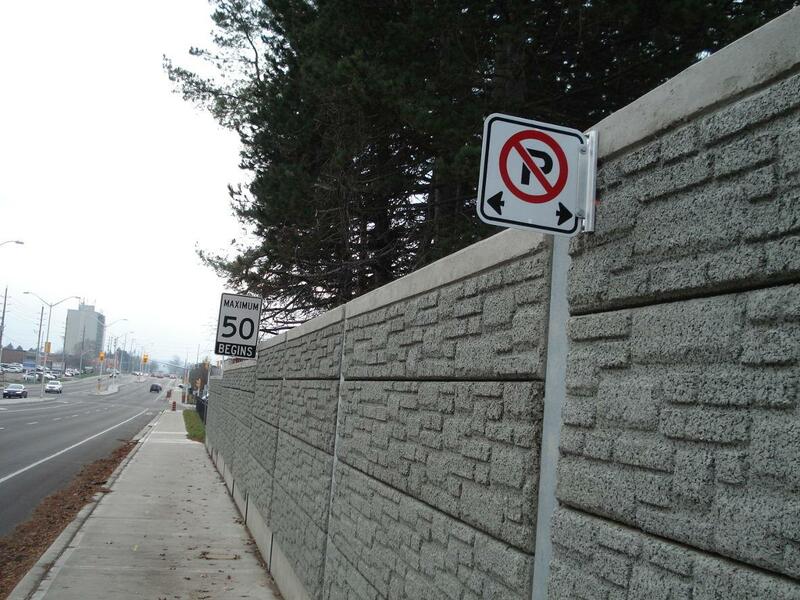 Does Design Concrete offer noise barrier product installation or is the product supply only? Design Concrete is capable of providing solutions for both a design and supply only and design, supply and installation project scenarios. We have an established and experienced network of qualified installers, capable of installing our products on your project in a timely and expert manner. For all projects, Design Concrete will provide experienced in-house project management support for the duration of your project. 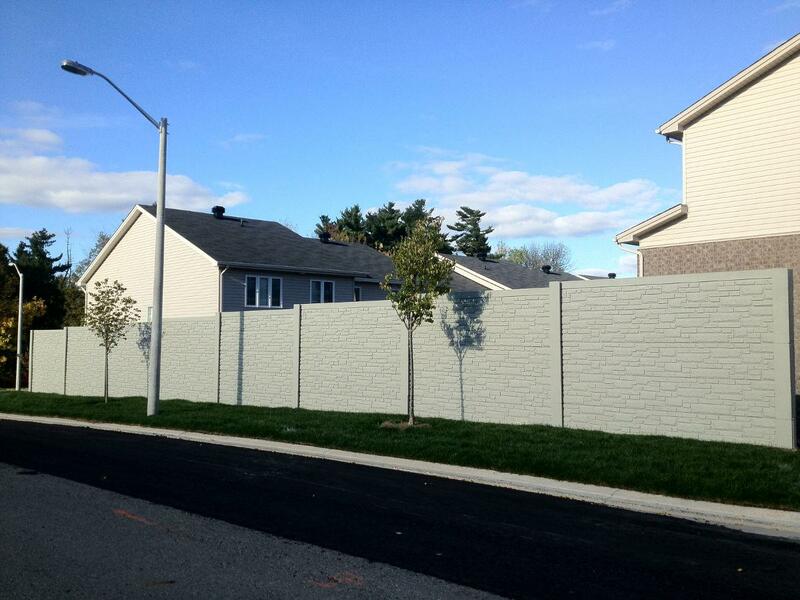 How long does it take to install a noise barrier wall? 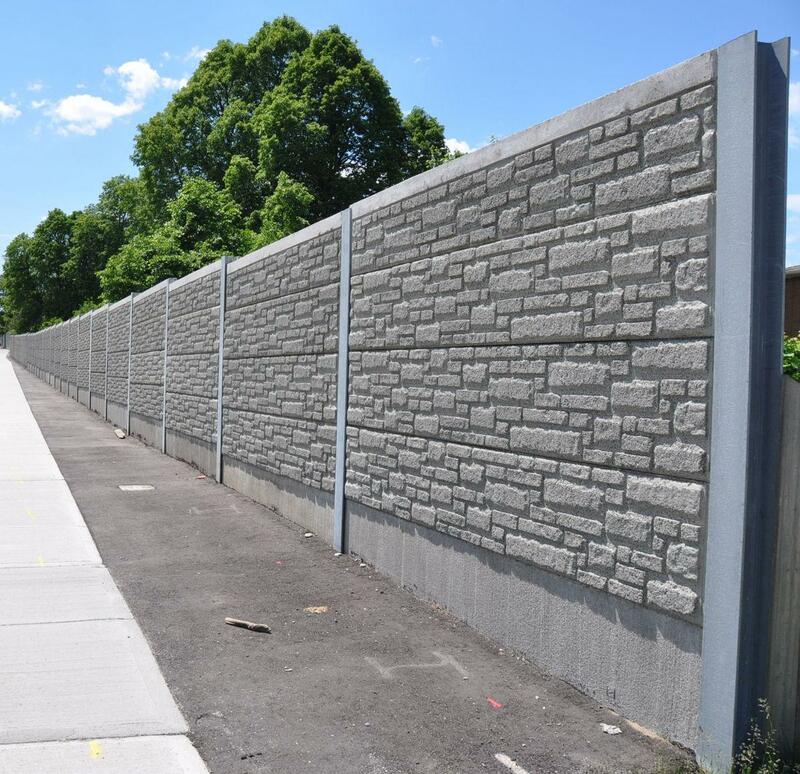 The length of time required to install a noise barrier wall varies depending on the size of wall, scope of work to be completed and the general site conditions of the project. 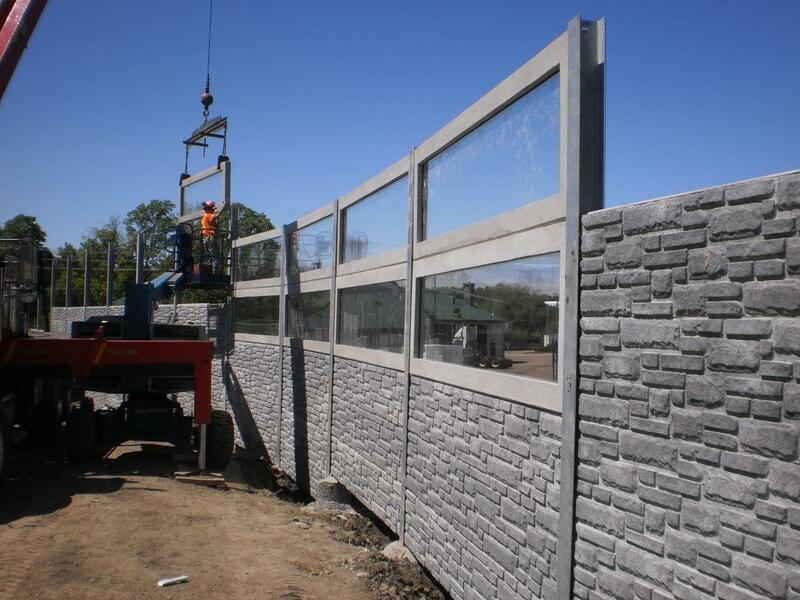 In general terms, with favourable site conditions, an experienced installation crew is able to install approximately 150 standard sized noise barrier panels per day, after the post have set and cured the appropriate length of time. 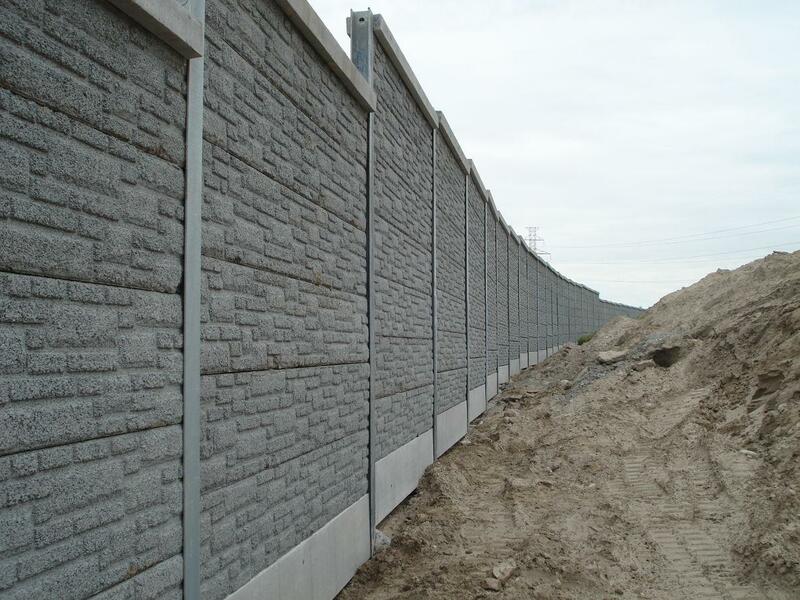 We currently service Canada and the USA with our diverse product offerings for both our Noise Barrier Systems and Earth Retaining Wall Systems. 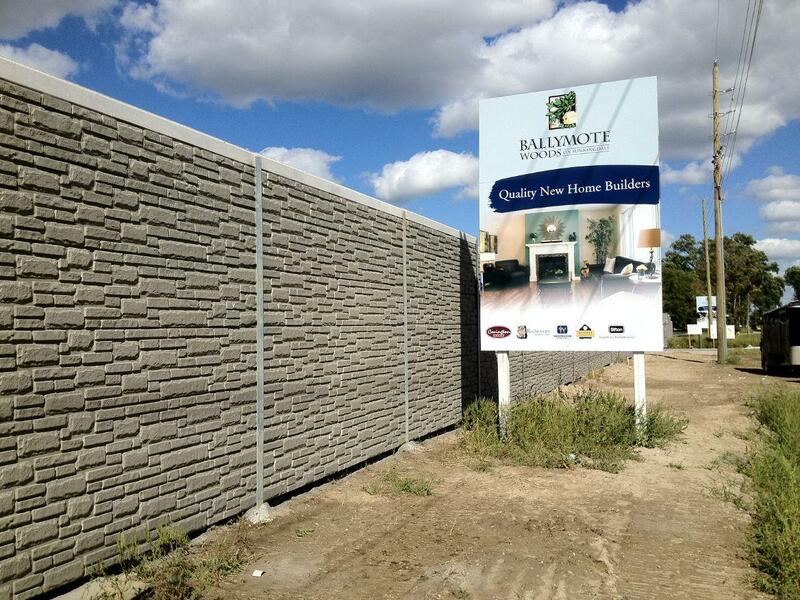 Does Design Concrete keep an inventory of standard noise barrier products? Yes, we keep an inventory of standard sized panels at our facility, allowing us to service our customers quickly and efficiently. How are custom orders processed? 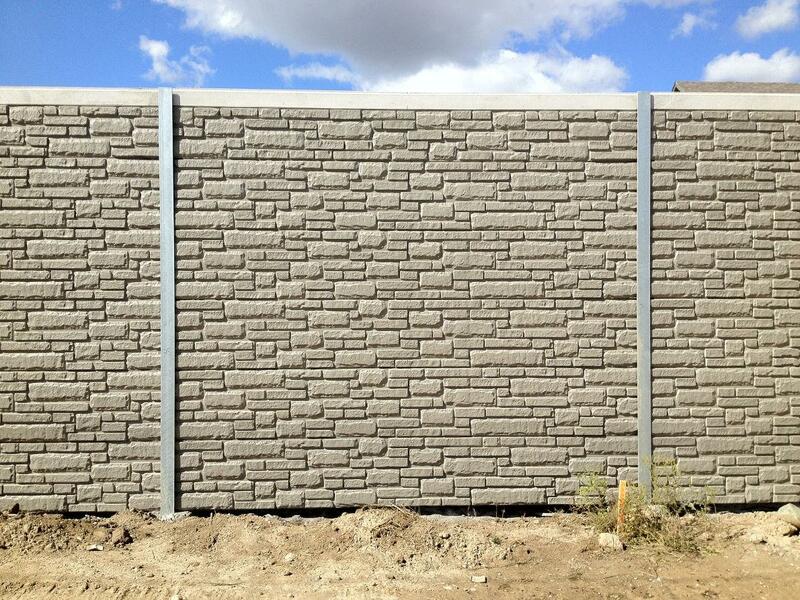 In general, Design Concrete will arrange all of the shipping and logistics for our customers. Our customers are welcome to arrange and use their own shipping services, if they have them readily available. To provide an accurate quote, we will need to discuss with you, and evaluate the requirements of your project. Please feel free to contact our sales staff for your project specific quote. We look forward to hearing from you and discussing your project requirements. 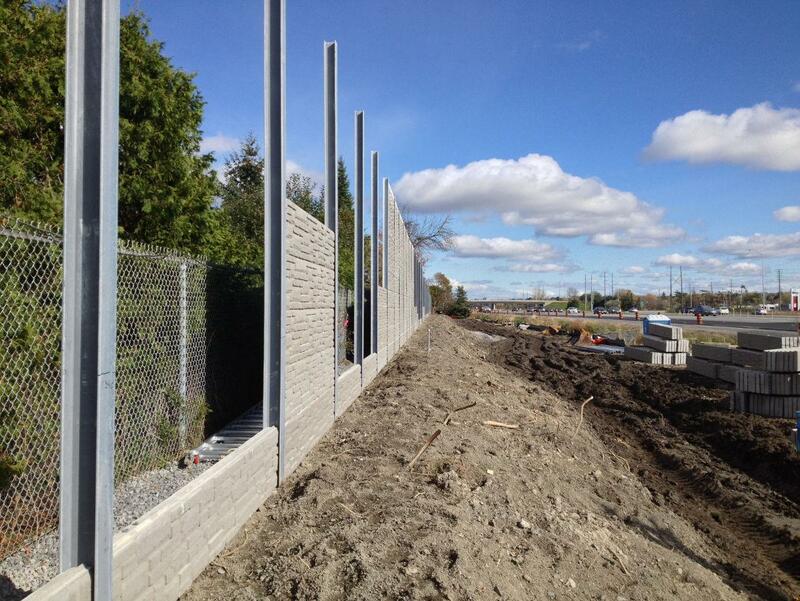 Please call 1-877-253-4577 or email: info@designconcrete.ca for more information.